The brand new entrance to Epcot has finally been revealed by Disney. 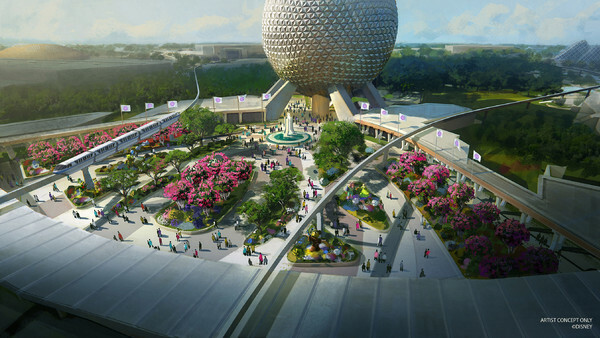 Fans of classic Epcot are going to be extremely happy with the design. Based off Epcot's original entrance, the fresh design will see the removal of the Leave A Legacy photos and a "newly reimagined" fountain in front of Spaceship Earth. Eagle eyed fans might have noticed the purple flags featuring the original Epcot Center logo. The fountain also appears to have the original pillar design that was a part of the park when it opened in 1982. Leave A Legacy will not be going away entirely. The 550,000 photos displayed across granite monoliths will be getting a new home outside the park. It's nice that the photos are not being permanently removed and will instead be placed "into a beautiful setting just outside the park's gateway". Over the years Leave a Legacy has been heavily criticised for its "tombstone" like appearance as guests enter Epcot so hopefully in their new home they will be more sympathetic to the park. One question yet to be answered is will the new entrance also include an improvement to the security entrance of Epcot? Currently the security is a little congested at Epcot and those guests already screened before boarding the Monorail are required to go through bag checks for a second time when arriving at Epcot. Perhaps the change to the park entrance will also incorporate an update to this area. Disney has yet to say when work will begin on the new entrance, but did confirm to be made on the other side of Spaceship Earth leading up to World Showcase. Rumours have also been circulating that Spaceship Earth itself will be getting a major overhaul but these have yet to be officially confirmed by Disney. Nor just content with revealing a new entrance to Epcot, Disney have also provided details of a huge transformation of the Wonders of Life pavilion. The new Play Pavilion will be a space "devoted to playful fun and feature an innovative city". 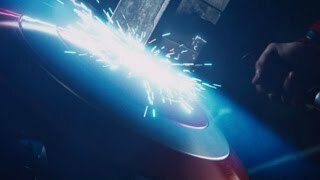 Disney have said the Play Pavilion will feature interactive elements, entertainment and of course some favourite characters. If you look closely at the concept art there are so many familiar faces to spot including Mickey Mouse, Olaf and Nick Wilde. The Play Pavilion will allow you to "explore, create and interact" with the world around you. 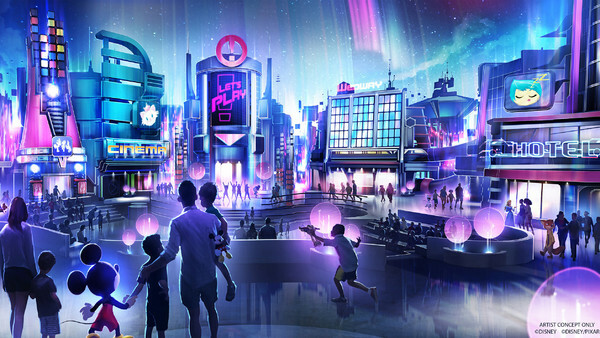 The new pavilion will be found in the long since closed Wonders of Life pavilion, located next to the future Guardians of the Galaxy attraction. Wonders of Life used to be the home of Body Wars, but now only opens periodically for festivals. Disney have confirmed that the Play Pavilion will open in time for Walt Disney World Resort's 50th anniversary which takes place in 2021. In the mean time, guests will be able to visit the Experience Center to see interactive exhibits about the new changes coming to Epcot. The Experience Center is set to open in the Odyssey Events Pavilion (located next to First Aid) later this year. With the 50th anniversary celebrations just around the corner it's exciting to see all the changes coming to Walt Disney World.